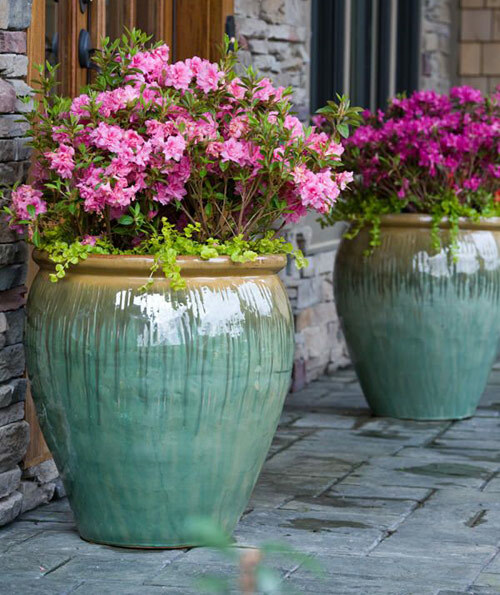 We want to provide some fresh container ideas to brighten up your garden or patio areas. Give some of these ideas a go and let us know how they work out for you. If you have to have a habit when it comes to your garden and patio areas why not make it trying to create new planters for your home. 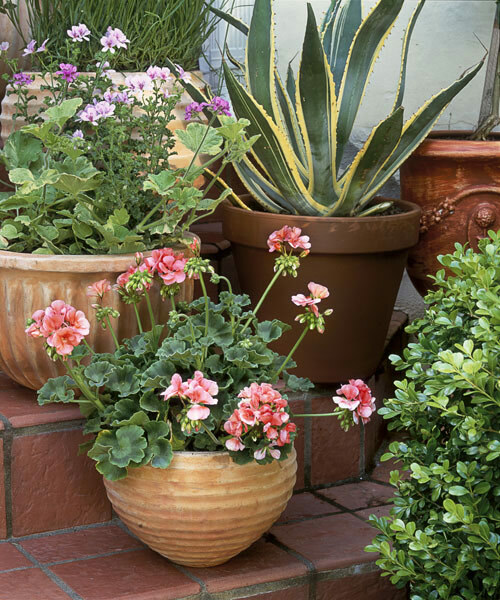 Planted pots offer color, fragrance and beauty to all areas of your home. By using beautiful flowers or lots of green houseplants you can create wonderful combinations that are decorative. When thinking about how to create wonderful and healthy garden containers you have a number of things to consider. Start with the plants needs. 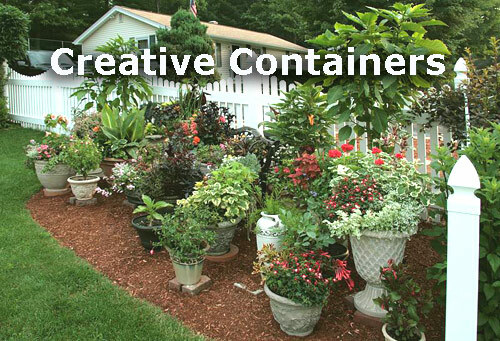 Most colorful containers start with considering the soil, water, food and light needs your plants need. You don't want water logged roots which will rot if there are no drain holes in the pottery. 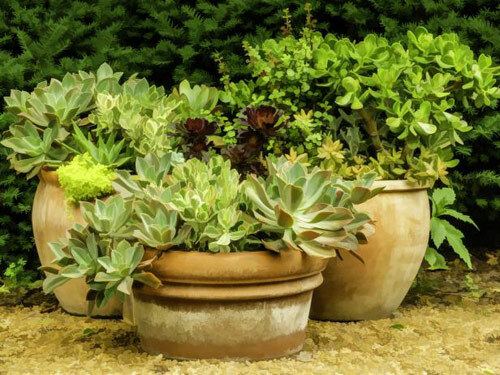 Make sure to replenish nutrients that leach from the soil by fertilizing containers weekly. Choose sunny spots if necessary. When you choose plants think about where that container will sit when it comes to sun needs. Try not to mix plants that have different needs so that they will all get along at the same time. Avoid mixing them up to much and try planting one type of plant or flower at a time. Make sure you use the correct potting soil so that your plants are given the best shot for a healthy production of color and growth. When picking plants pick a combination of richly hued foliage and ruffled leaves and texture if possible. Finally clustering containers together makes a wonderful and colorful display that really brightens up a porch or patio.